The Cambodian National Beach Ultimate Team Goes to Dubai! From March 5-March 13 the Cambodian National Beach Ultimate Team will head to Dubai to compete against the world’s best at the World Beach Ultimate Championship! Keep checking this page for updates and ways you can help! 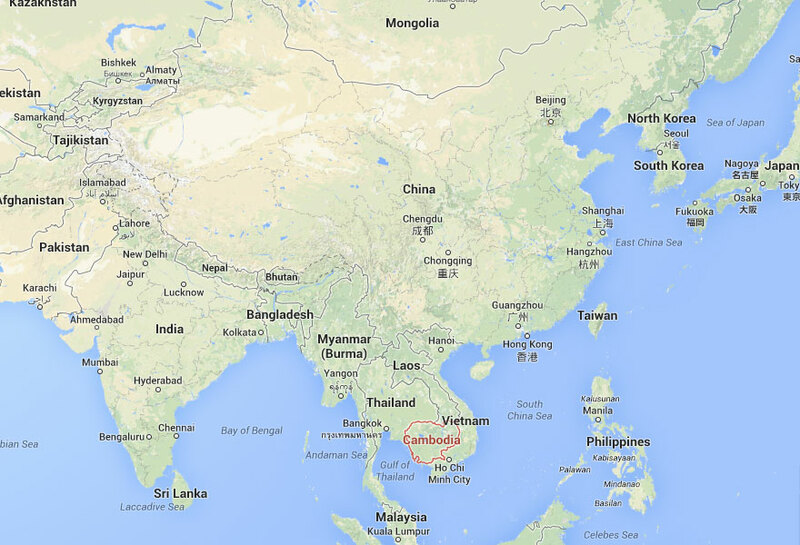 Cambodia is a Southeast Asian country that shares borders (not always peacefully) with Vietnam, Laos and Thailand. It also has a bit of a coastline that boasts a few pretty beaches and quiet islands. There are two major seasons, the wet one and the dry one. Wet season runs from May until October and flooding is not uncommon. In the country side the crops grow and plants take over the landscape. Travel becomes harder though in rural areas as most roads are not paved. Floods in Phnom Penh can make some areas very smelly. And we lose one of our fields, because the owner doesn’t want it ripped up. The dry season is exactly what it sounds like. We can go months without rain. The country becomes dusty. On the good side though the Mekong River recedes and provides disc players with an additional beach field in Kampong Cham province to work on our sand game. Cambodians look towards the first millennium A.D. and the expansive Angkorean Empire for their glory days but it is the more recent past that has left more of a mark. With the Vietnam-American War raging, Cambodia got caught in between and was the victim of major bombing that killed many and displaced many more. An ultra-Maoist regime used the suffering of the Cambodian people and other inequalities within the system to gain enough of a following to take over the country in 1975. This group is know by most as the Khmer Rouge. The attrocities committed by the Khmer Rouge are well-documented elsewhere. They emptied the cities and and are responsible for the deaths of perhaps two million Cambodians from executions, hunger, exhaustion and disease. The Vietnamese took over in 1979 and warfare in the provinces continued into the 20th century. The UN was in control of Cambodia from 1992-1993 and organized national elections. The elections have continued but corruption is the main political force in the country. This corruption has been hardest on the lower rungs of society who can lose their homes or land at the whims of the more powerful. The Cambodian people, though, are strong and have continued to try to make their lives better. They can fix anything. Many are very poor but among the most generous people I’ve ever met. They constantly smile and love to make fun of each other. No day goes by that I am not thankful to live in such an amazing place. Because of them. So ultimate is going to turn around the country and create a new golden era for Cambodia, right? Probably not (could happen though). This trip to Dubai to compete at the World Beach Ultimate Championships will give 10 Cambodian young men and women the opportunity to see a new place, meet new people, play a beautiful game in a beautiful place and give them an opportunity to represent their country. They will also bring their experiences back to Cambodia and show their countrymen what they’ve learned and who they’ve become. It is also a chance for the world to meet them. For so long the word Cambodia has conjured images of death and sadness culled from the 1970’s and the Khmer Rouge era. When you meet these incredible young men and women though, you will understand more not only about Cambodia, but about the strength of these people to overcome and move past the horrors of the past and become the energetic, lovers of life that they are. The team we are sending to Dubai will consist of 10 Cambodians and 8 foreigners. The foreigners will all fund themselves. The cost for each player, including airfare, lodging, food/drink, jerseys, player fees, and other miscellaneous costs will be about $1500 per player. And we plan on sending 10 Cambodian players. They do not have the ability to cover even a little of that cost, so all of that will come from the generosity our donors, like you. If you are interested in helping us out, you can give on our youcaring.com fundraising site. Or you can directly contact me, Jared Cahners, Prime Minister of the Phnom Penh Ultimate Association.